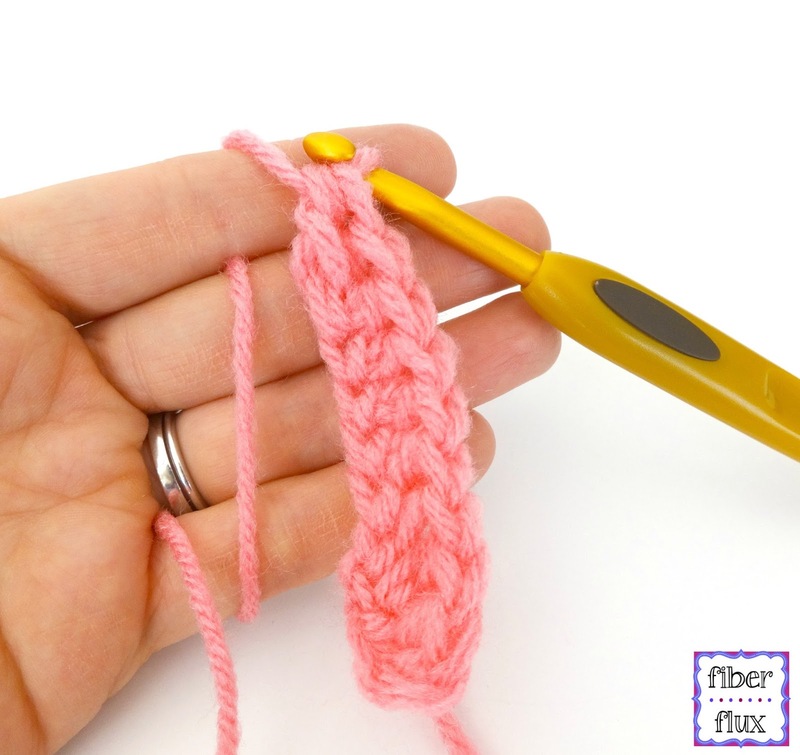 The Foundation Half Double Crochet Stitch (or fhdc for short) is a very handy skill to have in your crochet tool box. It eliminates the need for a starting chain...you work both chains and half double crochet stitches as you go! Step 3: Wrap yarn around hook, then insert hook into the furthest chain from the hook (first chain you made). *This completes the first fhdc. Step 7 begins the second fhdc on your row. Step 8: At the bottom last stitch worked, turn work slightly to the side and locate the "v" at the bottom. Insert hook into the "v"
Step 12: Repeat steps 7-11 for each fhdc you need on your row.